Des Mac Intyre is Standish’s president and CEO and heads Standish’s Active Fixed Income business. He also sits on the Board of Managers of Standish, the Fiduciary Risk Committee of BNY Mellon and on the Operating Committee of BNY Mellon Asset Management. Des joined Standish in 2005 as COO. He became president in 2007 and president and CEO in 2009. Prior to joining Standish, he was COO at Pareto Partners. 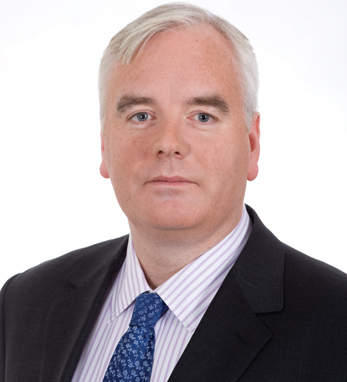 Des is a member of The American Ireland Fund Boston Dinner Committee, and was a 2011 Dinner Honoree of the UCD Michael Smurfit Graduate Business School. He holds a MPhil in management studies from the University of Exeter, where he also served as an Honorary Research Fellow, and a BA from University College Dublin. Born in Dublin, with roots in counties Cork and Cavan, Des describes his Irish heritage as “outward looking but always with a view of home.” He and his wife, Linda, have three children and live in Boston, MA.